College professor gets some licks in against Don Young in hearing on ANWR U.S Sheep Experiment Station, Q-Fever, and Wildlife Conflicts. Huge open pit coal mines, long in the planning, now seemed unstoppable. In addition thousands of coal bed methane wells were planned that would surely ruin the river right from its headwaters and downstream all the way to Flathead Lake in Montana. Wildlife in Glacier National Park would be greatly harmed too. There seemed to be no hope. Then, suddenly, everything began to change for the better on the B.C. side of the border. Montana and the U.S. government too, which had earlier fought its own battles over the Flathead grasped hands with B.C. and continued to retire the earlier poorly thought decision to lease part of the American side for oil and gas. Now 400,000 acres in B.C. are protected by law from mining and oil or gas drilling and development. 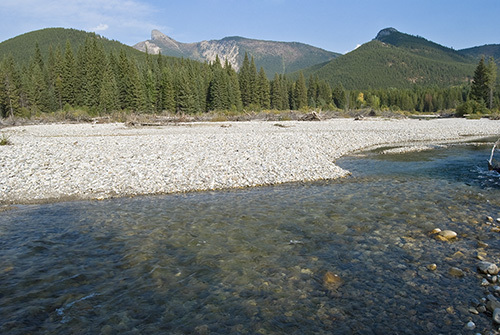 The Flathead Watershed Area Conservation Act has just become provincial law. Threats remain on both sides of the border, but it is a Thanksgiving present in a time when most things just seem to get worse and worse for the outdoors and wildlife. Canadian province OKs law protecting Flathead. By Matt Volz. Great Falls Tribune. British Columbia OKs law protecting Flathead Basin. By Rob Chaney. The Missoulian. Note that the Flathead River has two other forks — the South Fork and the Middle Fork. Both are entirely in the United States. Battles had to be fought in years past to protect them too. Wow, What Great News!!! Thanks for Posting! Such amazing country. The Northfork is truly a special place. Now if we could do something about those tacky private developments on the U.S. side…. The Montana state government has pushed real hard to keep much of the development of the North Fork from happening, there are a few homes up this way, but you will see no wide scale development in that area. The Governor of Montana as well as our congressmen were instrumental in getting BC to do this. I do remember that when Sweitzer, Tester and Baucus first spoke out against the big developments, the reaction that I read from B.C. was pretty hostile to them. I think they deserve lots of credit. I doubt Denny Rehberg did anything, and I don’t know why B.C. changed so much. I hope someone writes a long article or a book. Rehberg supported no development in that area, but Bacus and Tester are the actual people that went to BC and spoke out against the mining interests in the area, Brian also was very vocal about preventing the mining in the Canadian Flathead/ Now I am not real happy with Rehberg over the Homeland Security BS and the border. Such refreshing news. While and after living in the Flathead Valley I spent time floating the Middle Fork and the South Fork; fishing in the Northfork area; hiking, and hunting in the valley and Whitefish mountains. It has the most beautiful and interesting river worn rocks that I have seen anywhere. The coal mining in Canada was an issue when I lived in the area during the late 1950s. A pristine enviornment also comes to mind……..
but I worry that THAT word is no longer a part of mankind’s vocabulary when it comes to the “drill baby drill” mentality (past and present) when it comes to greedy, who’s lining my pockets now, politicians, who also happen to be in charge of making the backroom deals and decisions…. whether they be in the next county, state or just across the borders….